Douglas Joseph Burton MBE – what an extraordinary man, what an extraordinary life. Footballer, cricketer, baseballer, pilot, father, father-figure, grandfather, photographer extraordinaire and master planner. It won’t come as a surprise to anyone that Doug actually wanted to be a sports journalist and so it’s completely predictable that he created Australia’s first super group of what today we’d call photo journalists. I see many of those proud young practitioner’s of the fledgling art joining us here this morning to pay tribute to the man who started it all. Mike Baker, Richie Hann, Alex Regos, Reg Morrison, Tom Dann, John McKenzie, Graeme Dalton, Kevin Davidson, Dave Tanner, Rod Taylor, Ron D’Raine and countless others became an elite group of news gatherers because they learnt at the master’s knee. They rarely did what they were told, they searched for the pictures that would tell the story – often leaving perplexed young reporters like myself to ponder the meaning of life. But let’s start at the beginning, a young Dougie playing barefoot footie on the black bitumen playground of Perth Boys School. The headmaster had received a call from The West Australian offering two positions on the morning paper. Dougie put his hand up straight away. He was hoping for a journalistic job but instead he was offered a cadetship as a photographer. He took the gamble and accepted even though family legend has it that his mother wasn’t sure this unusual occupation was the right career choice. After all, Doug’s brothers had gone into the much more sensible worlds of banking and the civil service. But Doug had all the right stuff – he was self-confident, a good-looking young man with twinkling blue eyes, an inquiring mind and the gift of the gab. In fact, when I got to know Doug at the West I was glad I wasn’t a girl – he could have charmed the pants off me!!!! Doug was fascinated with how things worked and the camera became a source of endless experimentation. 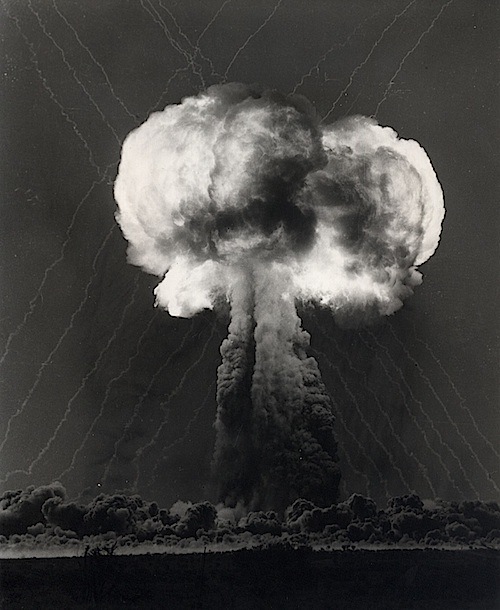 Of course, he would go on to take world exclusive pictures of the British atomic tests at WA’s Monte Bello islands with a home-made long-lens camera and then followed the big bangs across to Maralinga in South Australia. But like everything Doug did, he questioned it – and these man-made explosions troubled “Doug the human being” for the rest of his life. Planning for recording the atomic blasts was typical Doug. Along with scientist Bill Mangini and his trusty technician Harold Ruddinger, the team engineered a one-off camera which could shoot over the horizon. This technical masterpiece achieved exactly what it was designed to do – capturing exclusive images which were destined to be seen around the world. Of course, the actual taking of the pictures was nothing compared to sharing them. 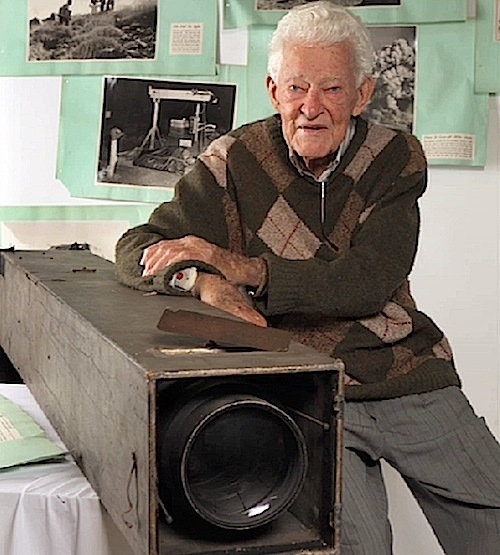 Doug’s logistical mind, honed by his war years in the air force, saw local flying legend Jimmy Woods dispatched to Perth with the images. Drivers waited for Woodsie to arrive and the race to publish first was on in earnest. I remember my Dad acted as a decoy and was stopped by the police as the images sped their way to Newspaper House. The Daily won the race into print and world history was made. 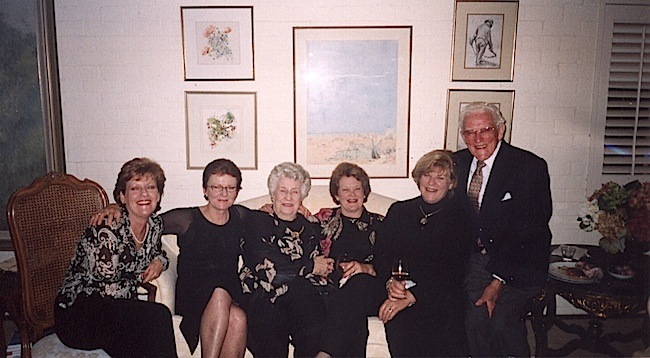 There were three main prongs to the Burton family tree – first and foremost was his family of girls, his beloved wife Toni and four daughters – Carole, Jan, Judy and Kim. 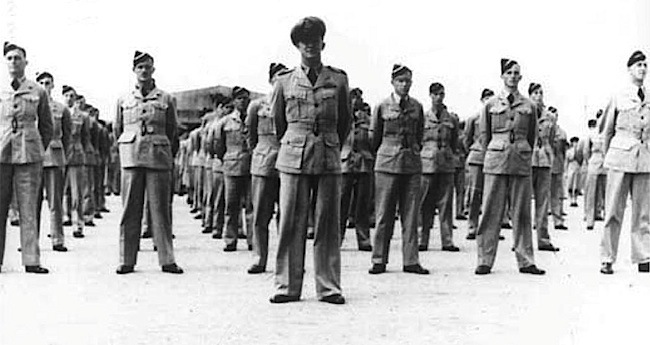 Then there were his men – the young men who took to the skies for King and Country during World War Two – and finally, there were his boys – the youngsters who formed the nucleus of what was to become Australian newspaperdom’s most formidable photographic department. Doug loved his girls and like many fathers before him and since – he went to considerable trouble to guide and shield them. 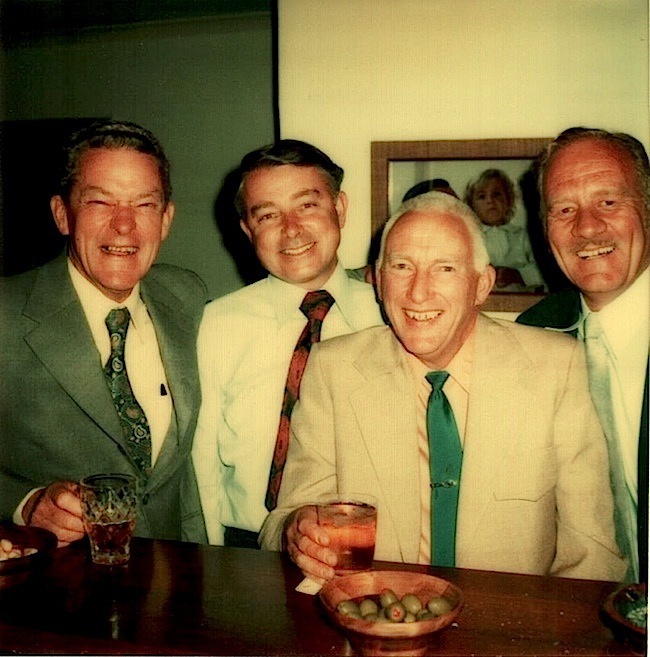 Daughter Jan, the family historian, recalls returning to The West as a young reporter after stretching her wings in Sydney. One of the bad habits she’d picked up was smoking and on her first day back in Newspaper House, she proudly arrived with her own Craven A glass ashtray and a gold cigarette lighter. She’d just lit up when news editor Peter Ewing planted himself on her desk to welcome her home. Jan tried desperately to hide her cigarette but the tell-tale smoke just kept on curling up. As Peter got up to leave, he quietly admonished. “And put that damned silly cigarette out, girl. It doesn’t suit you.” Jan did and hasn’t smoked since. The incident was never spoken about at home but she just knows Dougie had asked Peter for his help. The R double AF’s new recruit, Aircraftman 2 Douglas Joseph Burton, was devastated when he learnt he wouldn’t personally be going off to fight the Dirty Hun – even then, his leadership skills were clearly evident and he was destined to become a flying instructor. 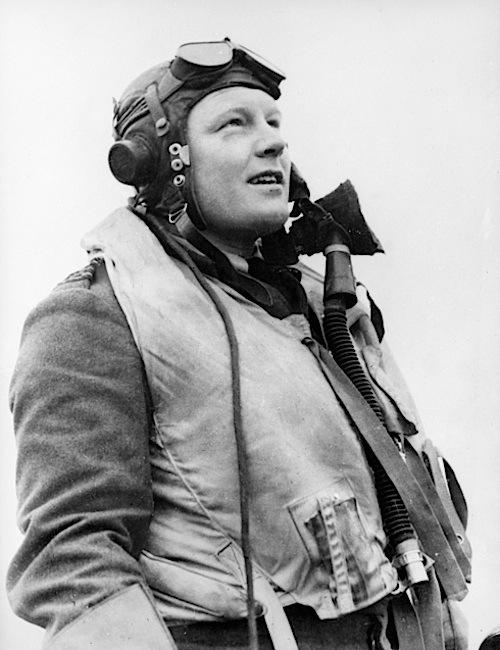 Many of those he taught to fly were his colleagues from the West, including DFC and bar winner Phil Martin, the West editor Jim Macartney and Daily News sporting editor Tom Hadfield. Doug swears Phil was the most natural pilot he ever saw and history clearly illustrates his point. Dambuster Phil is credited as the man who finally sank the mighty German battleship Tirpitz after dropping a bomb straight down its funnel. Portrait of Phil Martin by Norman Aisbett Sen. 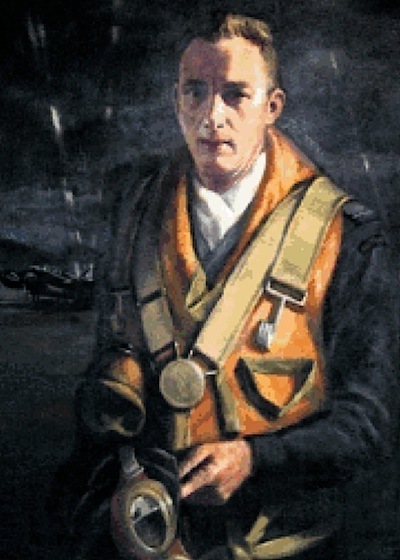 He won one of his DFC’s after dropping a Barnes Wallis earthquake bomb on the Kembs barrage – one of the main locks governing water and Nazi troop flow up and down the Rhine. Phil’s log book records his Lancaster was on its bomb run at a precise 600 feet, the supposedly neutral Swiss were firing ack-ack from one side, the Germans hammering away from the other, when the bomber in front of him blew up. The explosion flipped Phil’s plane on its back but he was so skilful he recovered to drop his bomb. On the way home, he lost control of his rudders, sent a crew member back to tie the severed control cables to either end of a fireaxe and walk backwards or forwards as directed by Phil when he needed to change direction. The reason I tell this story is that Phil amazingly survived the war and returned to the West. Many of Doug’s early photographers were returned servicemen and Macartney had promised everybody who returned alive a guaranteed job for life. 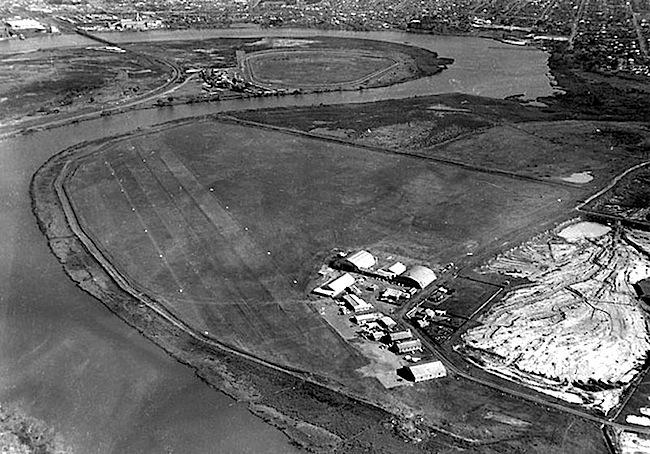 Every night a fully-fueled Tiger Moth was left on standby in the Royal Aero Club’s hangar at Maylands aerodrome – where the police academy now stands. A report of a ship on fire 20 miles the other side of Rottnest saw Doug and Phil scramble to get to the scene. Mission accomplished and they were heading home when Phil took control and dived down to sea level. Now you have to realise that the Tiger Moth was an open cockpit, single engine biplane. Before he realised it, Doug was being splashed by salt careening off the very close waves below. Doug confessed it was one of the few times he was genuinely scared but Phil was just having some fun on the way home. 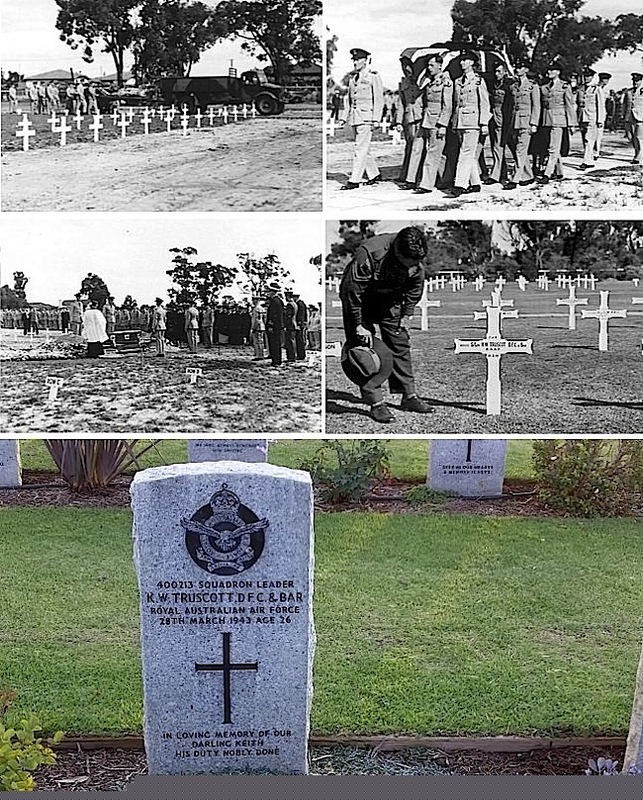 And having some fun was what led to the death of Australia’s second highest scoring fighter pilot, Squadron Leader Bluey Trustcott midway through the war. He was just 26. Keith Bluey Truscott was already a legend when he joined up. He had played in two Melbourne football club VFL premierships. The Bluey Truscott memorial medal is still awarded to Melbourne’s fairest and best player every year. Bluey amassed at least 16 confirmed kills with another five unconfirmed – most of them as a foundation member of No. 452 Squadron, R double AF over German-occupied France. The Australians were the top scoring fighter squadron in England from August to November 1941. Now a national hero, Bluey led his squadron in desperate fighting at Milne Bay in Papua – playing a vital role in the first significant defeat of the Japanese. He also shot down a Japanese bomber during the defence of Darwin. Soon after, Bluey and his wingman were escorting an unarmed Catalina back to shore off Exmouth when he decided to practice a mock attack on the flying boat. Unlike Phil Martin, Bluey was a notoriously bad judge of height, even the Australian War Museum recording his bad habit of regularly landing from too high in the sky. Bluey’s Kittyhawk fighter hit the water and an Australian legend was dead. Doug was given the job of recovering Bluey’s body and bringing one of our national treasures back to Perth. The onset of darkness delayed the flight home and Doug’s crew opted to stop in Onslow – home of the infamous Bleedin’ Beadon hotel. The major problem was what to do with Bluey’s body – it was hot, humid and there was no such thing as air-conditioning in those days. So the executive decision was made to take Bluey to the pub one last time – his body was placed in the hotel cool room while his fellow flyers drank to his health in the bar next door. Ironically, Bluey is buried right here at Karrakatta – so Doug will be right at home. After the war, Doug joined the Daily News as head photographer. My Dad, Stuart senior, was editor. Mike Baker remembers when this combination of bosses came to his rescue after the two papers had amalgamated and the photographic department served two masters. He was called out to a plane crash near Pearce – an R double AF Dakota had crashed soon after take-off. Mike was alone in the company Land Rover – a short wheelbase 4WD – and when he got to the scene in the Darling Range, he found all the airforce rescue vehicles were bogged. He was pressed into service as an ambulance for two badly-burned survivors and had to decide between saving lives or taking pictures. He delivered the survivors safely to Pearce and then went back to take his pictures. But his life-saving mission meant he had missed the West’s deadline and, of course, the Daily News splashed his images on page one the next morning. Griff Richards, editor of The West, was furious and launched a scathing attack – demanding to know whether Mike wanted to be an ambulance driver or a news photographer. A stunned Mike duly reported to Doug – who took it all in his stride and decided his strike-back strategy. He told the story to Stuie senior, who immediately produced a memo praising the young Baker for his superb pictures and his initiative in saving the lives of two men. He also awarded Mike a hefty bonus of 10 pounds. Honour was satisfied and revenge was sweet. That was Doug’s way. Then there was the night of the St. George’s terrace shootout. Doug had been experimenting with some new high-speed film and he’d turned the photographer’s studio into a fully-fledged shooting gallery. 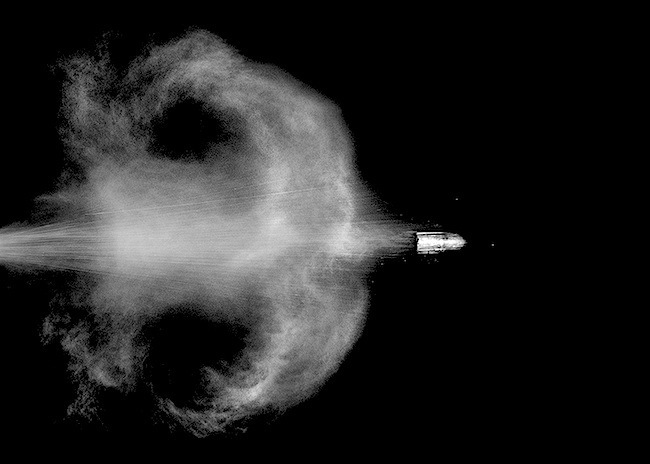 He was trying to capture a photo of a bullet leaving a gun – and the end result was a stunning image of just that and the bullet in full flight. Incidentally, the gun in question was a .38 issued to one James Macartney for personal protection. Inspired by this experiment, Doug’s two resident gun maniacs, Kevin Davidson and Graham Dalton, brought their own arsenals to work and began peppering the office. Police headquarters was flooded with reports from the public about a shooting somewhere in the Terrace. Of course, this leads to the other side of Doug – while he encouraged initiative and risk-taking – there was a limit. And, if anybody broke the limit – they were carpeted. Now, Doug’s office was fully-tiled – with no carpet – so it became standard office procedure to supply your own carpet when you got the personal call from an exasperated Doug: “and bring your own carpet” when you come in. During all of this, running a huge office to support the whole WA Newspapers group of publications, Doug’s life was still full of extra-curricular activities – he was one of the first people to recognise “post traumatic stress syndrome” after men he’d trained for battle couldn’t cope when they returned home. 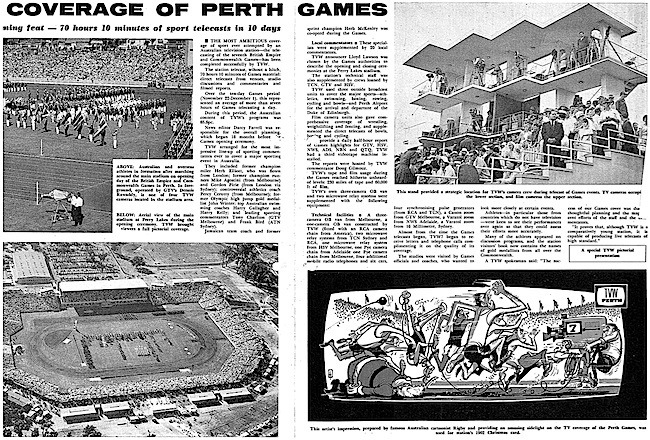 He also managed to mastermind and run the media centre for the Empire Games at Perry Lakes in 1962. He repeated the performance for the America’s Cup media centre in 1987 and he did it again for the World Swimming championships. 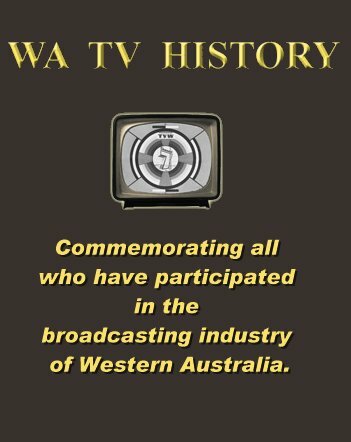 When he retired from WA Newspapers, he joined TVW7 as a consultant – providing sage advice to Sir James Cruthers as he pondered whether to sell Channel 7 to either Alan Bond or Robert Holmes a’Court. 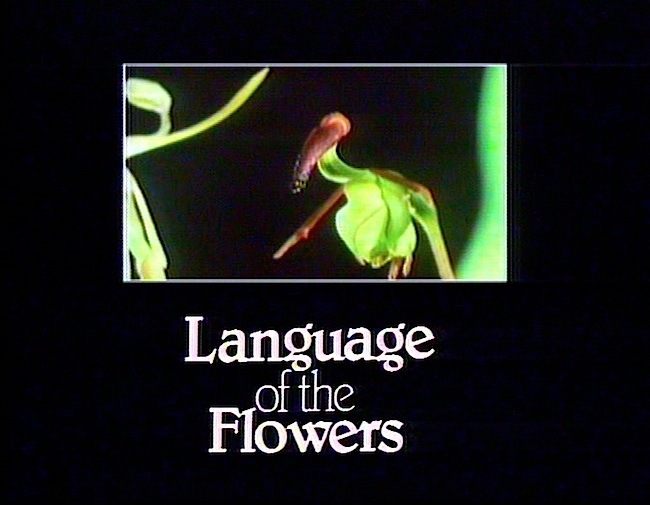 Mike Baker, who’d gone out on his own with Don Shepherd and Ron Sullivan, received a call from Doug to be at the airport early the next morning – they were off to Wittenoom to make a television documentary on wildflowers. A surprise member of the film crew was waiting at the airport – Jim Cruthers needed a break before making his fateful decision on the future of commercial television in Perth. Jim had a snooze in the bush every lunchtime for four days before deciding in favour of Holmes a’Court. 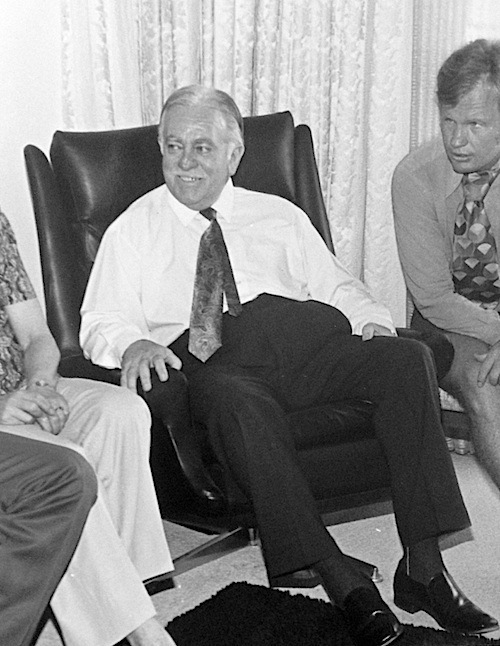 Jim then joined Rupert Murdoch in New York, masterminding the takeover of the 20th Century Fox film library. 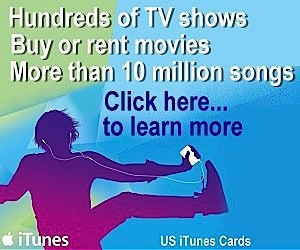 This led to the worldwide Fox television and movie empire and Murdoch’s emergence as the number one media mogul on the globe. That’s Doug’s legacy, a story his girls, his men and his boys can treasure forever. I wonder if you could possibly pass my email to Jan Burton Jackson who has paid tribute to her dad Doug Burton on this website. I can’t find her anywhere else on the web and we used to be in touch regarding our shared family history. (Prouten) Thank you.